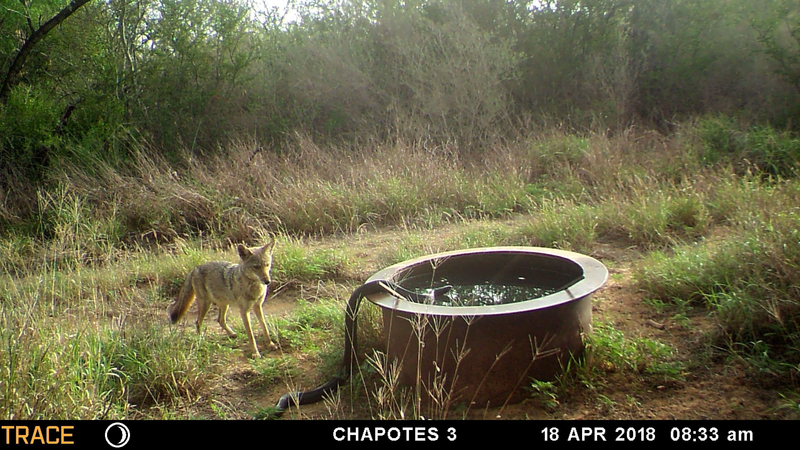 Snake and Coyote, looking for some water, Nuevo Laredo, Mexico. Nope, nope and nope. That's why I only hunt turkeys in the first part of April. Not a fan of snakes! Cool picture, any idea what kind of snake? Thankfully none of the local snakes here get anywhere close to as big as that fella.